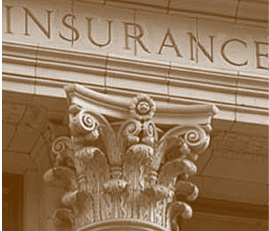 Insurance companies would not be subject to the same capital standards as banks under a bill introduced in the U.S. House of Representatives. The bill is designed to address a question created by the Dodd-Frank financial reform act about whether banks and non-bank financial institutions like insurance companies must meet the same capital standards. The Federal Reserve Board has interpreted a provision in the Dodd-Frank Act as requiring insurers to comply with the Basel III global capital standards. Basel III focuses on capital adequacy, market liquidity risk and stress testing. Representatives of some of the largest economies in the world developed the standards to avoid another financial crisis that left the global economy reeling. Last year, the Fed announced it would implement virtually all of the Basel III standards. The industry has argued that applying bank-centric capital and liquidity rules similar to the Basel III framework to insurers would put them at a competitive disadvantage because the business of insurance is fundamentally different than the business of banking (Best's News Service, May 2, 2013). To address the industry's concerns, Rep. Gary Miller, R-Calif., and Carolyn McCarthy, D-N.Y., introduced the "Insurance Capital and Accounting Standards Act." Under the bill, capital standards for insurers would be tailored to take into account risk exposures that fit the business of insurance, including asset risk, underwriting risk, interest rate risk and business risk. "There is no question that robust capital standards for all of our nation's financial institutions are essential to protecting our economy," Miller said. "However, these standards can be detrimental to the economy if not properly applied. Capital standards need to be calibrated appropriately so that they can preserve safety and soundness." Representatives of the insurance industry praised the bill, saying it would provide clarity to an issue that could have a significant financial impact on insurers' bottom lines. Life insurance companies should always be subject to capital rules designed specifically for the types of risks they assume. Insurance risk-based capital is the appropriate benchmark for life insurers," the American Council of Life Insurers said in a statement. The American Insurance Association also came out in support of the bill. "AIA believes that the application of Basel III bank capital rules to property/casualty insurers is misguided and inappropriate," J. Stephen Zielezienski, senior vice president and general counsel for AIA, said in a statement. "Insurance risk-based capital requirements already in force at the state level remain the appropriate prudential standards for property and casualty insurers, and, unlike bank capital standards, align with the insurance business model." In March, Miller told Federal Reserve Board Chairman Ben Bernanke that federal government has set off "a tremendous amount of havoc" among insurers by failing to provide guidance on new rules being imposed on the insurance industry. As Fed officials have acknowledged, two parts of the Dodd-Frank Act appear to contradict each other regarding the question of whether the Basel III standards were intended to apply to insurers. Earlier this month, Michael Gibson, director of banking supervision and regulation at the Fed, addressed the apparent disconnect during the National Association of Insurance Commissioners' International Insurance Forum in Washington, D.C. Gibson said while one provision excludes insurers from the Basel III requirement, another provision, known as the Collins Amendment, directs federal regulators to impose minimum leverage and risk-based capital requirements on banks, bank holding companies and nonbank financial firms. The Collins Amendment takes its name from Sen. Susan Collins, R-Maine, who authored the provision. "There is a bit of a challenge there to make sense of two somewhat dissonant provisions in Dodd-Frank, and we're still working through the legal arguments on that," Gibson said.